I just love weekday afternoons in May. It is during this special time that I get to see one of the most wonderful sights in the world. It is a sight that teaches me again and again about what life truly is all about. I get to see it mainly when I go to pick up my youngest son from school. I can even hear it as I get out of my car. Its musical and magical sound floats happily through the air from the playground just off the preschool building. It is the sound of children at play. Each day just before I pick up my boy I take in this glorious and happy sight of the preschool children having one last recess before they go home. Many of the parents are there as well smiling as they watch that special joy that their children are creating. I look on as one happy boy swings and calls out for his teacher to watch. I see two smiling girls skip, laugh, and gather handfuls of dandelions to give their Moms. I watch as two boys ride the rocking horses with all the energy and delight that their little hearts can muster. I smile upon seeing a girl hanging upside down from the miniature monkey bars and giggling at the whole world. As I get my own son he too runs for the swing set for one last ride as well before we head home. He may have the body of a 12 year old, but he still has the bliss of a child�s heart, mind, and soul. These beautiful children remind me everyday that life truly is about joy, laughter, and love. Anything else is just details. We may all have to go to our jobs, clean our homes, raise our families, and take care of all the tasks in life. Still, there is no reason we can�t do all these things with love, laughter, and joy. In fact the only thing we should take seriously in this life is the love and joy that we choose and share. It is what makes life worth living and it is God�s greatest gift to us all. Cherish that gift then. Rejoice in it. Share it with the world. And if you don�t think you can remember how to then stop by a playground one day and watch the children. This was written by Joseph J. Mazella. I want to share it to all of you guys coz I find it true and inspiring. I Thank God so much for giving me a family here that is so much the same with my family in our Country. They are very supportive, loving and very caring. I have received gifts today but to have them is one of the greatest gifts I thank God so much. I will never forget this day...a day filled with laughter and joy... a day filled with love and care. Glory be to God. Yesterday and today, I commit my time in cleaning the house as preparation for the Christmas Day. Of course I clean the house regularly but it will be more thorough this time. It is because tomorrow will be very special day for me and my husband because our special guests will be my husbands family. They will be spending their Christmas day with us. I am excited and very happy about it and so the previous days, we bought things that we will be needing like items for games, gifts and of course the ingredients we need for the refreshments. I started cleaning around 9 this morning and hopefully I will be done this noon. After that, I will be busy baking and making some Christmas Cookies. I hope that all of you guys are happy and filled with Gods love and peace in your hearts and homes. Again, MERRY CHRISTMAS! I was raised and lived most of my life in a warm Country. We have just two seasons...the rainy and the summer season. And this winter, specially on the first day of snow fall, I was so excited and happy like a little kid seeing the snow. I wish my friend Michelle is with me that we can go out and play with the snow. But I'm alone at home so I just enjoyed the snow watching falling down through our window. In the afternoon, I decided to go out and got some pictures. I like the new environment...everywhere is white. I still have difficulty with the cold but not much anymore and maybe next year, it will be much easier for me. It's been a long time that I wasn't able to update my blog. I've been busy looking and applying for job. I had a good time too of spending most of my time with my husband, our family and friends. And yes! I don't have to forget...I have been busy with the new business we have. We are still setting up this time and don't you worry. I will update you about things on our business. I miss reading and visiting blogs...and hopefully, I can this time around again. I am doing great so do with my husband and we pray that all of you are doing the same. Christmas day is soon approaching and may Gods love and joy be in our hearts and home this season and everyday of our lives. May the Lord Bless you and give you a wonderful and peaceful Sabbath Day! Don't you worry, things will just be fine. It was about 6:30 early in the morning today when I and my husband woke up to be ready in going to BryanLGH Medical Center East. Today is his appointment for IVP test. To give you an idea (from radiologyinfor.org), intravenous pyelogram (IVP) is an x-ray examination of the kidneys, ureters and urinary bladders that uses iodinated contrast material injected into veins. An x-ray (radiograph) is a noninvasive medical test that helps physicians diagnose and treat medical conditions. Imaging with x-rays involves exposing a part of the body to a small dose of ionizing radiation to produce pictures of the inside of the body. X-rays are the oldest and most frequently used form of medical imaging. When a contrast material is injected into a vein in the patient's arm, it travels through the blood stream and collects in the kidneys and urinary tract, turning these areas bright white. An IVP allows the radiologist to view and assess the anatomy and function of the kidneys, ureters and the bladder. That was exactly the examination they did today to my husband. I wish we have the result already but it will take 2 or 3 days more before they can have the conclusion. I am glad that my husband is not experiencing pain anymore. It is difficult to see him discomfort and distress. More than two weeks had past from the first occurence of the pain. It happened early morning the 26th day of October when we rushed him to BrynLGH Medical Center-East. I can't help but to cry seeing him in excruciating pain. Upon arrival at the emergency room and after some questionings, they gave him pain reliever. That was just the only time I was able to breath normally again when the sensation of physical discomfort started to go down. After some medical examination like the CT Scan (CT Renal CALC without Contrast), they found out that the sharp cramping pain and nausea was due to a small stone which has formed in the kidney and is now passing down a narrow tube (ureter) on its way to his bladder. Once it reaches the bladder, the pain will stop. The stone may pass through urine stream in one piece. The size is small that it may break up into sandy fragments which he may not even notice when it passes. What a relief. After that, were adviced to go home. He was given the instructions what to do like drinking lots of water, of course straining the urine, saving any stone that comes out and try to be active as possible since it will help the stone to pass. Things went well after that. It was October 29, midnight when he felt the sharp cramping pain and vomitting again. Pain reliever is not working and so we went to Bryan LGH Medical Center again. He was given emergency treatment. The stone is too small to pass on its own so we need more days waiting. It was almost 5 early morning when we went home. We were adviced to seek the referred Urology Doctor for thorough observation so we went to Urology, PC. We were able to visit their clinic twice already after those incidents, but the same thing, the stone is tightly hiding. In our second visit, the stone is not visible where it is positioned. Supposedly, from there, they will get a reading or a decision if it is "for operation or not" and so they suggested us to go to BryanLGH again to do the IVP this time. Things are doing well for my husband. He did not feel any pain for 3 consecutive days now and were hoping and praying that the stone passed already. It is very discomforting physically for him and even financially. Our first bill reached to $2,600 plus and we still have more bills to come. 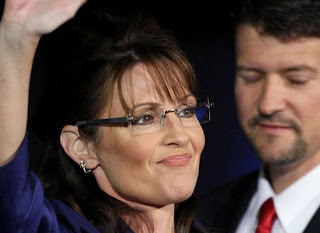 But I said to my husband WITH GOD, dont you worry, things will just be fine. The word blog came to my world through a friend named Mitchel Breyer. She is a very good friend of mine. I met her on my second day here in Nebraska with Ate Maria Jonhson, another Filipino friend fetching me to go to the welcome party they prepared for us. She became my buddy since then. We became acquainted and we started sharing many things in life like our experiences here as we adjust to a new environment...completely different atmosphere compared to the place where we grew up. From our communications, she mentioned blogging activities. She started being busy with it when she was still in the Philippines. She gave me lots of attracting ideas that stimulated my interest to try. It was first week of August, specifically the 3rd day when I wrote my first message. The topic was about my Bridal Shower Party. If you want to read it, just scroll down and you will find it below. Blogging is like making personal diary or from the word blogging itself, it is writing a blog. From the Columbia Encyclopedia, "the blog is short for web log, an online, regularly updated journal or newsletter that is readily accessible to the general public by virtue of being posted on a website. Blogs typically report and comment on topics of interest to the author, and are usually written and posted using software specifically designed to facilitate blogging; they include hyperlinks to other website and, often, photos, video clips, and the like. The most recent entry by the blogger is posted at the beginning of the blog, with earlier entries following in reverse chronological order; comments and other responses to the blog by readers are often posted after each entry. Although some bloggers have (or have achieved) prominence and expertise that makes them as influential in politics and other areas as established journalists, reviewers, and critics (some of which maintain blogs themselves), many bloggers reach relatively few readers and discuss matters of largely personal interest. 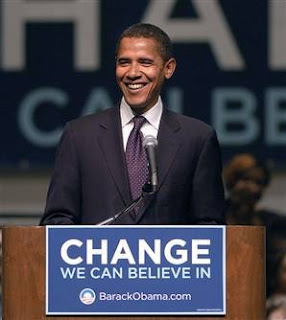 Blogs are also used by politicians, businesses, and others to keep voters, customers, and the like informed on matters of common interest; they can function as a significant alternative to television, newspapers, and other mainstream media, especially in nations where the media are controlled or censored by the government. Bloggers have at times broken important news stories or marshalled public opinion on a matter of public interest." Personally, i do not believe in halloween...the reason why it is and should be celebrated. It is just a good feeling that the kids are happy and enjoying...that people have time to laugh, stretch out legs and hands from a long day of work. Yesterday, my mother-in-law requested me to paint her pumpkins. I know we do have the same belief when it comes to halloween issues and so her request is just for fun. Painting is part of me I guess that I enjoyed doing it and so I finished it early. When my husband arrived from work, he has with him huge pumpkins so, i started painting again until I'm done almost early morning today. I didn't notice the time but i guess my effort is worthed because of the result. I tried taking a picture this way. Hope you like it. It is believed by many people that on October 31st, that is tonight, you will likely see witches, ghosts, goblins, skeletons, demons, and other evil characters knocking at your door and hollering "trick or treat", and they will expect a treat or you will be tricked. There will be parties where kids bob for apples, tell fortunes, or go through haunted houses. There will be decorations of jack-o-lanterns, witches on brooms, and black cats. It is the only day of the year when people give free food to strangers and display carved vegetables on their front porches. . . .when you really think about it, October 31st is a very strange day/night . . .this is how halloween party is celebrated here in Nebraska. I am curious about it and tonight, I am about to experience it. For fun, I painted pumpkins and hope you will like it. This is a continuation of the halloween history. By A.D. 43, Romans had conquered the majority of Celtic territory. In the course of the four hundred years that they ruled the Celtic lands, two festivals of Roman origin were combined with the traditional Celtic celebration of Samhain. 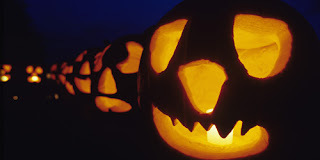 According to history.com, halloween's origins date back to the ancient Celtic festival of Samhain (pronounced sow-in). The Celts, who lived 2,000 years ago in the area that is now Ireland, the United Kingdom, and northern France, celebrated their new year on November 1. This day marked the end of summer and the harvest and the beginning of the dark, cold winter, a time of year that was often associated with human death. Celts believed that on the night before the new year, the boundary between the worlds of the living and the dead became blurred. On the night of October 31, they celebrated Samhain, when it was believed that the ghosts of the dead returned to earth. In addition to causing trouble and damaging crops, Celts thought that the presence of the otherworldly spirits made it easier for the Druids, or Celtic priests, to make predictions about the future. For a people entirely dependent on the volatile natural world, these prophecies were an important source of comfort and direction during the long, dark winter. Who you want to be the President of United States of America and why? I am new to this place, the United States of America and when it comes to the fast approaching election, my view is "whoever the American people will choose to vote" there goes my support. Anywhere in the area talks about the coming election...in the streets, offices, houses, malls, restaurants...anywhere, people are talking about who will be the next President or whom they will vote for. They talk about it because it will largely affect each Americans lives. 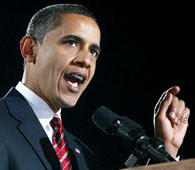 Is it the Republican candidate Sen. John McCain or the Democrat Candidate Sen. Barack Obama. 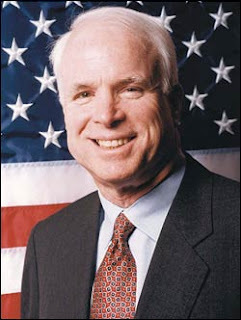 Why do you think that Sen. McCain deserves to win the same with why do you think that Sen. Obama should win. You are free to give comments and I will appreciate it much. To me, whoever will win, may he will lead the country responsibly, intellectually and serve the people with great honor and respect. May He will bring more success to people and to the land. God bless America! 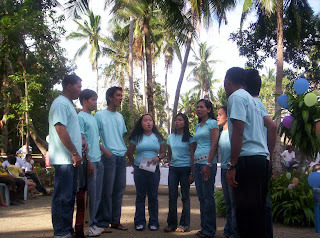 We have had a traditional "Pamamanhikan" on December 26, 2008. To some countries like China and Korea, it is known as the engagement Party. Pamamanhikan is usually solemn, simple and mostly attended by both families, few close friends and relatives. It is the way of welcoming our committed relationship by our family, relatives and friends. In our case it was a bit different and special. Different because first, my sweetheart was alone instead that he will be accompanied by his family but because of the distance, that cannot be possible. 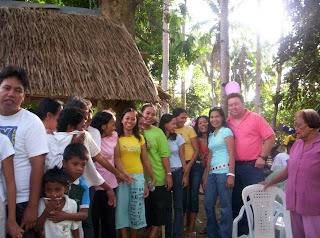 Second, it turned out to be attended by many relatives, neighbors, churchmates and friends. Third, the program was divided into five parts...the solemn one which was of course the engagement message from our head elder Uncle Don, messages of advice from my parents, sisters, nephews and nieces...the most interesting and awaited part when Monte asked my hand to my parents in front of the attendees and of course the words of acceptance and welcome from my parents...the musical part where my choirmates, the Arcillas SDA Chorale had concert participated by my nephews and nieces...the refreshment part.....and the final part which was the funny games. The program started around 1:00pm and we ended around 8:00 in the evening already. What a special day for us! How to keep warm during winter? I am new in the place of Lincoln, Nebraska. I just arrived here last june and one of the difficulties i am experiencing is the climate....the cold weather specially in the evenings. I came from a warm country and it is warm all year round so I am not used of the cold weather. Winter is fast approaching and so I need advice lots of advice on how to keep warm. My husband told me simple technique and that is to dress up right. If you have other advices, I will appreciate it so much. Thank you. Though life may not always be perfect, I vowed to always keep my love for him as pure as it is today. My sweetheart, my husband mean a lot to me and that I will never used of telling him how much I love him. I will continue to honor, encourage and support him through our walk together. When our way becomes difficult, I promised to stand by him and uplift him so that through our union, we can accomplish more than we could alone. I know that our love is heaven sent and I promised to be there for him all his life, come what may through thick and thin, through good and bad, through joy and sorrow. I want to spend the rest of my life hearing his thoughts and seeing his dreams. Through God, my love will never fail for him. Our Wedding was held last July 6, 2008 in the College View SDA Church. That was the happiest moment of my life. God has done amazing things in both of our lives. 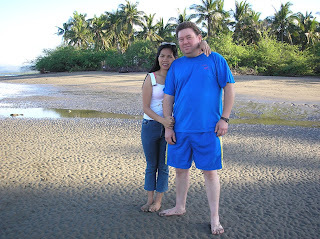 He has brought us together despite the distance between us in an unusual circumstance. We look forward to being able to start a family, grow old together and live a life through Him. God gave the very precious gift to me. God loves me so much that He gave the best gift more than what I am praying and expecting. After affirming and confirming our love for eachother, I have no doubt that indeed he is the person set for me to be with all my life and that on December 23, 2006, I accepted his proposal to mary him...to be my husband and bestfriend for life. We have already been through a lot together and I believe that God has been preparing us for this moment and for our future together. Being together for 12 days, we both knew and felt we were Gods chosen perfect partner for eachother. We truly believed that there is a person out there that God has set aside for us and we just have to wait until He is ready to bring them in our lives. Well, we were happy to say that we were done waiting. We've found eachother, the person that we want to spend the rest of our lives with. He spent most of his visit in our province, Romblon. 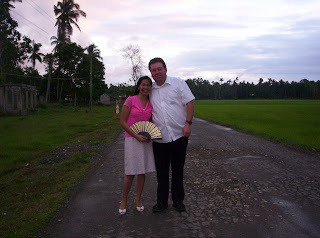 He said He enjoyed very much being with my friends, churchmates, relatives and family. And of course we both had fun spending special moments together. 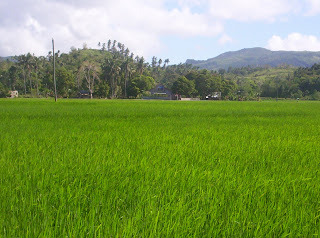 We went to the foot of the mountain in our lot where our cows were taken cared of, went to our ricefield, went to the coral reef and in the seashore....lots of fun. Each day, our love deepened, strengthened our friendship and made us feel very sure that we could never feel that close, that much in love with anyone else. We both lived thousand miles apart, however, we realize that God brought us together. We know that with Gods continuous blessings, our relationship will continue to grow through Him. With that, we decided to meet personally to confirm and affirm our feelings for eachother. 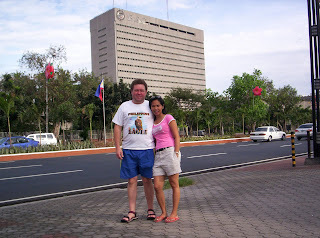 All the way form Nebraska, USA, my sweetheart Monte, traveled and arrived on early morning of December 18, 2006 in the Ninoy International Airport, Philippines. We both so much excited and anxious to see eachother. My life has changed because of you! It didn't take either of us long to realize that this had to be an answer to our prayer. We both felt like we had finally met the one we were born to be with. We became sweethearts on May of 2006 and we continued getting to know eachother, the best we could via website...meebo and yahoo as well. We chatted almost everyday, calling eachother through cellphones, seeing eachother through webcam and hearing eachother through Yahoo Messenger....lots of long conversation. We felt very happy...very very happy to walk and face challenges together. We felt the real joy and love in our hearts. It is one of the happiest moments for us committing ourselves and future in eachother...What a feeling! We met and knew eachother through the website of our church, a site bringing Adventist together. We crossed eachother simply to say hello but never thought we could be anything more than friends because of the distance between us. But God works in mysterious ways. We are both Skeptical in joining, we knew we could make friends through this service, we knew we would find inspiration and spiritual encouragement here but what a wonderful surprise to discover eachother. God is indeed great! Isn't it amazing that we met...that in this great big world our paths crossed. Never in my wildest dream would I have thought that I could ever meet a soul from the other side of the world but I did. 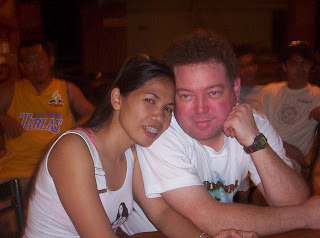 I am from the Philippines and my husband is from United States specifically Lincoln, Nebraska. Two places that differ in many things... culture, people, language, belief, environment, color, laws, way of living...many things. 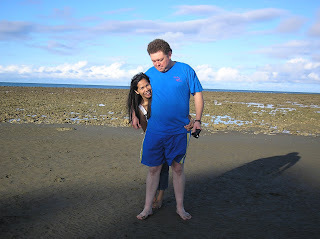 I am in one side of the world and my husband is in the other side of the world but we met and now married. In our place, it is usually warm all year round and in his place, the opposite. It is for that reason that when I arrived here in Nebraska this summer, that was month of June, it seems it is cold season for me specially at night. I got cold easily and my teeth started to chatter. I slowly adjusted to this new place but not totally yet. Falling in love is one of the most wonderful feelings you could ever have. When you are in love, each day of your life becomes remarkably colorful and exciting. Every moment spent with the right one is so special that every detail has to be remembered and cherished. With these, it is a good suggestion to make a scrapbook or keepsake of the detailed memories being together. It may be in the form of pictures, expression of love...records of every important event of your love story. This is because every love story is worthtreasuring. Early Sunday morning, I was awaken by a big wave in our water bed. That was because my husband was in pain and he moved too much to look for a comfortable position. I was so worried of what is going on to him. I saw him standing up, walking, sitting down and a bit later he hurriedly went to the rest room to vomit. He said, the pain was too much that caused him to throw up. He tried of having a hot bath to soothen the muscles but it did not work. The vomiting continues and so with the pain. I was so worried and so I called Mom about it. She decided to come and after figuring out what is going on with him, we decided to go to the emergency room of BryanLGH Medical Center. He was in pain and so he was given right away painkiller. After a process of tests and examination, they concluded that the pain was caused by the kidney stone that is about to pass in the ureter. It was too small that will pass on its own and so they let us home and just gave a pain reliever. As of now, the stone is not passing out yet and hopefully, it will not hurt so much. One of the Saturday evenings of September, Pathfinders had a Fall Barn Party. 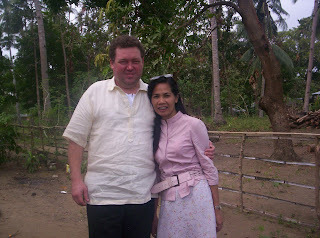 It was held in the farm of Anderson Family, close friends of my husbands family. The place is 30 minutes drive away from the city. It was said that the area was struck by tornado before and so the buildings were wiped off. It was a fearful experience for them and a big loss because they had to build buildings again as a storage area for their harvest but they were so thankful that they were alive. It was my first barn party here in US so that means a lot to me. I enjoyed the games specially the hay ride. After our Fall campout which was the Area Camporee, we just took a shower and head out to Valas Pumpkin Patch Fall Festival. It is situated in 12102 South 180th St., Gretna, Ne 68028. 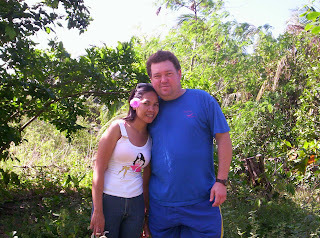 We were joined by the bestfriend of my Husband Cris and a friend named Beth. It was evening when we reached that place but still I had fun. I enjoyed seeing real BIG PUMPKINS. We had the chance of being able to go to the field of pumpkins and there, I was so amazed of how big their pumpkins were. They opened on September 27 and it will be until November 1 only so for those who want to have fun with your kids and family, it is a best place to go. Valas Pumpkin Patch Festival have lots of activities to enjoy. They have Pig races, Pumpkin Eating Dragon Show, Howl-at-the-Moon Stage Shows, Scarecrow Band, Pumpkin Chuckin’ Cannon Show, Tractor Rides, Train Rides, Peddle Cars, Pony Rides, Pumpkin Mine, Storybook Barn, Haunted House, Spook Shed, Giant Sling Shot, Paint ball Shootout etc. They have lot more for you to truly enjoy. After visiting the Freedom park, we headed to SAC Museum. It is located between Omaha and Lincoln and so we decided to go and visit that place too. It was my first time to visit a Strategic Space and Air Museum and so I was excited and curious of how the Airplanes and hangers look like...real airplanes that was used in military activities. I had fun and was amazed by the intelligence of people being able to invent different aircrafts that are useful in defending mankind and own country as well when it comes to war. With the places I have been visited, this is one of the places, i will recommend. 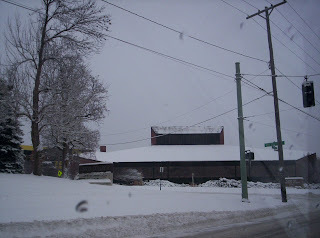 SAC Musem is particularly situated in 28210 West Park HighwayAshland. It is regarded as the nation's foremost facility of its kind, the $29.5 million museum opened on May 16, 1998. The Museum is a 300,000 square foot building that features a glass atrium, two aircraft display hangars, a traveling exhibit area, a children's interactive gallery, a 200-seat theater, a Museum store, an aircraft restoration gallery, and a snack bar. The glass atrium is a breathtaking structure constructed of 525 glass panels that encase the awesome Lockheed SR-71 Blackbird. Book it now! After the biometric procedure, my husband and I decided to visit the Freedom Park since we were in Omaha already. Freedom Park is a National Historic Landmark operated by the Greater Omaha Military Historical Society, a non-profit organization, to gather and exhibit equipment and memorabilia from the pages of naval history from World War II through the present. Freedom Park is dedicated 'In honor of those who served, in tribute to those who perished, in gratitude to those now serving'. Along with the Ships, there are a number of aircrafts and weapons mounted around the park for closer inspection. There are launchers, anti aircraft gun, big propellers and anchors etc. So if you have time, then plan a trip to Omaha and visit the the Freedom Park. On October 10, 2008, I was scheduled to appear in USCIS Omaha to have biometrics. We left Lincoln around 9:10am and arrived USCIS around 10:45am. My schedule was 11:00am and so we're fifteen minutes ahead. Anyway, the security check inside was tight. It was like the security check in the airport that we took out our belt, penny in our pocket, checked our bag, took off our jacket. It was fine for us though. We thought the procedure will take long but it took us just about 15 minutes. We just filled out a form, had the finger printing and picture taking. Thats all. By the way, that is part of the process in my application for permanent residency.